I have recently been unable to play/edit any of the video clips on my Dell Inspiron PC running Windows 10. All was fine until December/January, when I created a DVD from a recent holiday. I have 2 apps which now will not play or allow me to edit the remaining video. I get an error box saying I have "insufficient graphics capabilities" & "the video card and/or driver does not fully support DirectX 9" and I should upgrade/update one or both (Windows 10 has DirectX 12). From other sources I believe there is an updated driver for my Intel HD 4400 graphics card but Intel say I should consult Dell before installing this update. I would appreciate any advice anyone can give. RE: Unable to view/edit video clips uploaded from camcorder. The error is because directx 9 and 10 drivers are needed. Also DVD codecs are REMOVED from WIN10 they want you to pay $14 TO $100 for them all over again. Windows media player is also removed as is windows movie maker. You have to download and install directx JUNE 2010. AND Add back Lecgacy Direct play and DOT NET from control panel. You have to install Legacy Direct play and DX9 and DX10 drivers from the Directx June 2010 patch. You download the file and extract to a folder then run DXSETUP.EXE as administrator. 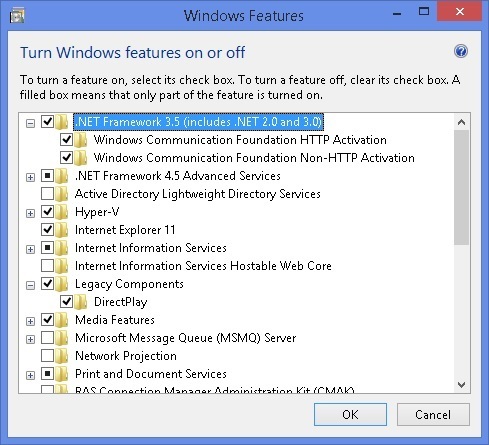 Before previous drivers will work in windows 8 or 10 you have to enable legacy features like DOTNET 2.0 3.5 and Directshow. You must then install DIRECTX JUNE 2010 DRIVERS by downloading the file and extracting into a folder and running DXSETUP.exe. Directx June 2010 which you download and extract to a FOLDER then run DXsetup.exe as administrator. in control panel, all control panel items, programs and features, Turn windows features on and off. You have to be ONLINE when you do this because it will insist on downloading from the internet. Install Directx June 2010 Patch. Legacy audio APIs such as DirectSound, DirectShow, and the waveOutXxx functions enable applications to get and set the volume levels of audio streams. Windows Media Source Filter. This behavior was maintained to ensure backward compatibility with applications that used the Windows Media Player 6.4. New applications should use the newer versions of QASF, which make the WM ASF Reader filter the default filter for playing ASF files. For more information on the Windows Media suite of software development kits, see the Audio and Video section of the MDSN Library.